Featured in BeerBods main subscription box on 16 November 2017. As ever, be wary of over-chilling your beer. More chill means less flavour. Serve this beer at 13°C to 16°C; about 20 minutes in the fridge should be enough. Alternatively, if it’s been in the fridge a long time, take it out ahead of time and give it about 40 minutes to warm back up. The bottle should feel cool to the touch but not cold. If you have a chalice style glass, this is the perfect excuse to get it out of the cupboard. A tulip glass or even a red wine glass would also be great for this beer. It’s dark, but it’s Belgian (in spirit at least), so don’t expect roasted malt notes. This beer is all about letting the yeast come to the fore. Dark sugar syrup gives this beer its deep burnt red colour and smooth taste. A good balance on the finish is vital to ensure it doesn’t become cloying. The brewers use a German noble hop to provide a light spiciness and a mellow bitterness. The hop in question today is Spalt, which gives herbal, floral, and earthy characteristics. The hop bitterness should be very subtle, allowing the yeast to express itself clearly. Milk chocolate is a common recommendation for enjoying with trappist style beers. However as this beer is so light on the hops you risk overloading on sweetness. You would probably do better upping to cocoa content and going for darker chocolate, where the bitter edge will play well against the beer’s sweet notes. The caramel notes in dubbels work well with foods that display characteritics of the maillard reaction. Slow roasted pork would do well here, or a smoked sausage. Apparently washed-rind cheeses work well too. Any excuse to eat Epoisses is a good thing in my book, so that’s probably the one I’ll go for myself when Thursday evening rolls around. 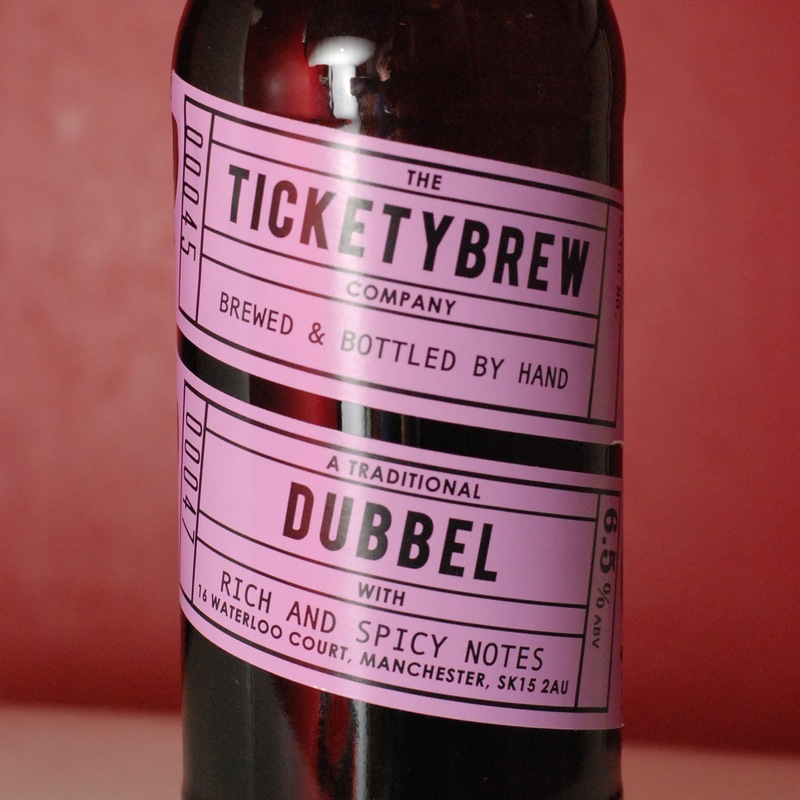 Read more on this beer from BeerBods and Ticketybrew.